Minneapolis Photographer specializing in newborns, children, seniors, pets and family. So you've scheduled a newborn portrait session. Now what? Newborn shoots are completely different from any other portrait session. If you are planning for newborn photos of your little one, read about what a newborn shoot entails so you know what to expect when you go to your portrait session! 1. 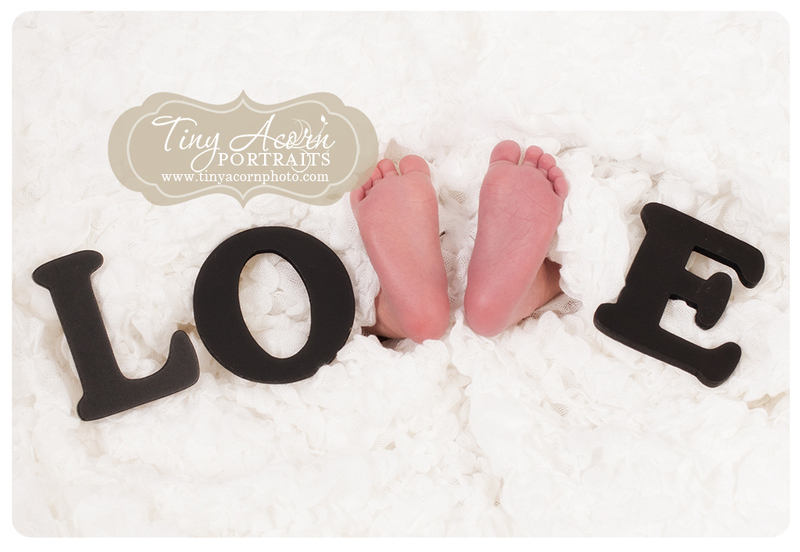 At Tiny Acorn Portraits we schedule 1-2 hours for newborn portrait sessions. It is important to schedule more than enough time for the shoot to make sure the baby gets fed, relaxes for breaks, and of course so we as photographer's can get the best photos, sleeping and awake. At Tiny Acorn Portraits, we put aside 1-2 hours for these sessions which allows plenty of time to move through the shoot at a relaxing pace. Remember to think about this when scheduling your appointment! 2. Newborn portrait sessions are usually encouraged to be taken within the first 7 days of life. This is because they are at their tiniest and can easily fall asleep! Since we will be using props, sets and different textures, we want to be able to pose the baby easily. This is done simply while they are sleeping. So in preparation for your newborn portrait session, remember to feed them right before (we will let you feed them throughout the session as well, hence scheduling a few hours for the shoot) and if possible let them stay awake until they come to the shoot so they are more likely to fall asleep. 4. Don't be afraid to take as many breaks as you need during your session. We have seen everything there is to see happen during newborn sessions. So don't be afraid to breastfeed, change a diaper. We understand! It is our job to make sure we get adorable photos, but the trick to newborn sessions is to not push it. 5. Loosen the diaper. If you can, loosen their diaper for the car ride. This will help to eliminate any diaper imprints on their skin. Also, dress them in a button down onesie (if you have one) so that you can easily take it off to change them without pulling it over their head in case they're sleeping. -A sitting area for you and your baby to take breaks!